Student Transfer with Credits in Undergraduate Program & Joint Sports Activities. MoU for General Cooperation including Student Exchange and joint research activities. Vinculum is a software company providing multi channel fulfillment software products and niche domain services for e-Commerce and brick n mortar retailers. Their SaaS (Software as a Service) product suite and their team providing Retail and Supply Chain domain based IT services work 24*7 to ensure the success of their customers globally. Vinculum has developed a CENTRE OF EXCELLENCE (CoE) in BBD to provide students live projects on cutting edge technologies. Automotive segment giant Mahindra has made BBD campus a hub for all its student centric activities of UP region. They are also a regular employer of our students. Strong tie ups with TCS for placement as well as FDPs and students activities. We are also the biggest testing partner of SMB arm of TCS. Aspiring Minds is the official testing partner of BBDU. All the companies associated with AMCAT prefer BBD as their placement process venue. Talent Grids is the brainchild of a very dynamic and enterprising team from IIT Kanpur and IIM Calcutta. Talent Grids is the most unique model aimed at bridging the Talent Demand Supply Gap. It is the most revolutionary Value Added Model for Colleges, Students and Recruiters! With a tremendous focus on technology, the initiative aims at Reinventing Fresher Hiring and finally Spreading Happiness in the Talent Grids’. BBD is the hub of all the activities of Lucknow region. For the same they have provided CoE to BBD. Reliance money infrastructure limited is one of the training partner of BBD. They are also a regular employer of our students. Orane Labs is an IIT alumnus technological venture backed by young and enthusiastic team in the field of industrial automation and ubiquitous computing. They have a product line in RFID, WSN, embedded systems and customized IT solutions for industry. They are official training partner and consultant for lab development. Future Sharp Skills Limited (FSSL) is a joint Initiative between Future Group and National Skill Development Corporation (NSDC). It has been formed with the sole objective of skilling 70 Lakh Indians by 2020 and creating a steady career path for them, in 19 different trades. 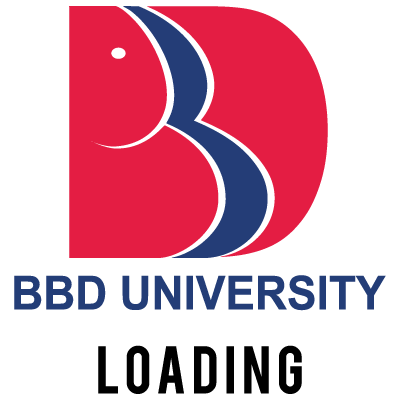 They have selected BBD as their training and assessment venue. IBM conducts regular FDPs and seminar for students and faculties of BBD. They have also provided support to develop a high end software engineering lab.